If there's one trail-side question we've all felt guilty for asking, it's "Umm, do you by chance have a pump?" As a longtime advocate of tubeless tires, I can count on one hand the number of punctures I've experienced in the last two years on my home trails. However, I recently spent a couple of weeks riding in Northwest Arkansas testing gear for the upcoming Bible of Bike Tests. Within the first two days of riding in the Bentonville area I'd piled up a few years worth of flats. After the initial onslaught of torn treads and sliced sidewalls, I set out on each ride thereafter equipped with a bandolero of inner tubes and the small version of the Lezyne Alloy Drive pump. A majority of riders use Presta valves, and the Alloy Drive pump has a pressure release port on the Presta end of the hose. 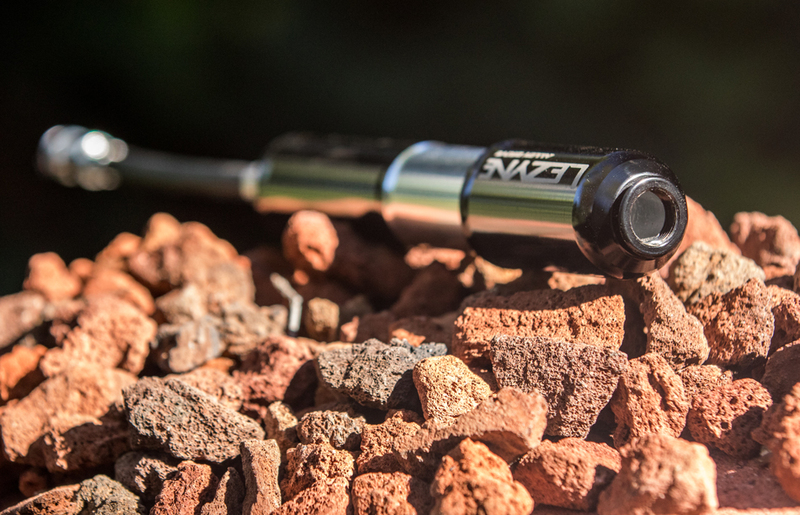 Available in both small (170mm, 112g) and medium (216mm, 128g) sizes, the Alloy Drive is constructed of CNC-machined aluminum and employs a hidden hose to inflate both Presta and Schrader valves. Small enough to fit inside a jersey or bib pocket, the pump includes a handy frame mount which attaches via water bottle bolts. 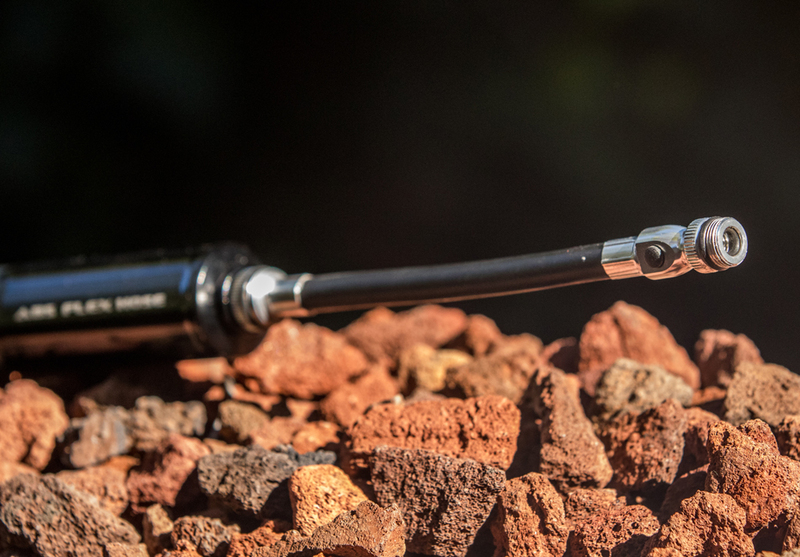 To use the Alloy Drive, simply unthread the hose hidden inside the handle and thread it into the bottom of the pump. One end of the hose accepts Presta valves and the opposite end takes the Schrader variety. The hose ends thread onto the valves, and the Presta end also features an air pressure release button. Despite its minimalist appearance, the Alloy Drive does an excellent job of getting the repaired tire to seat properly against the rim. I primarily run tires in the 25 to 30 psi range, but Lezyne says the high-volume Alloy Drive is capable of inflating tires up to 90 psi. A peek inside, where the Alloy Drive hose hides. On my home turf, where punctures rarely happen, (dammit, shouldn't have said that) my rides are usually under 3 hours long. In those situations, I can be self-sufficient with a water bottle on my frame and a tube, multi-tool, and CO2 inflator in jersey and shorts pockets. However, after two weeks of repeatedly bailing me out from trail-side tire tears, the Lezyne Alloy Drive pump earned a contract extension and some real estate on my downtube or inside my Stumpjumper's "S Hole.” Hopefully, the next time I reach for it I'm saying, "Yeah, I have a pump. Gimme a sec and you can borrow it." The quickest, cheapest way for your tire to take a seat. Yes, they're still printing this book, but do we still need it?